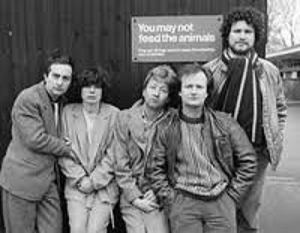 In the early 80s a number of Television executives created Limehouse Productions with the aim to be an Independent Television company making programmes for BBC , ITV and the newly launched Channel 4 . After securing funding they looked for a site for their new studios. They eventually decided to renovate an old warehouse in Docklands which had been the original “Canary Wharf”. This was considered a bit of a coup for the London Docklands Development Corporation who were desperate to regenerate the Docklands area and the company benefited with the grants and loans available for new buildings. The new building was to use the shell of the warehouse and fit it out with state of the art equipment, well known architect Terry Farrell supervised the project and Limehouse Studios was born. In 1983 the studio opened it’s doors and programmes began to be made. The studios soon gained a reputation for producing high quality shows which included dramas, entertainment shows and innovative shows for channel 4. 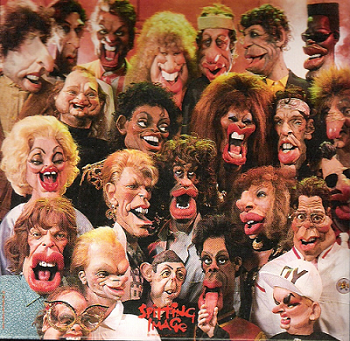 Perhaps the most famous show produced here was Spitting Image the satirical show that at its peak was seen by 15 million viewers . The puppets for the show were made in a workshop in the back of the large warehouse. 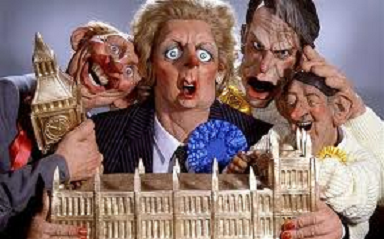 Spitting Image was really known for its political satire. 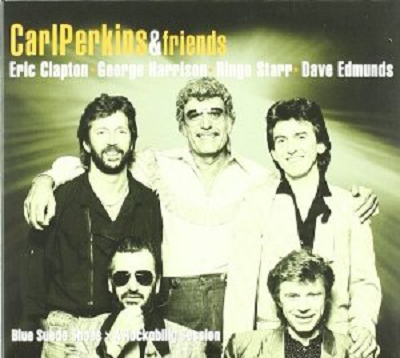 Limehouse studios was the scene of a celebrated concert featuring the Rock and Roll legend, Carl Perkins with George Harrison, Ringo Starr, Eric Clapton and Dave Edmunds. Other notable productions included Drama’s such as Cyrano De Bergerac, Moliere, The Mysteries and Julius Caesar. Music featured in Rock in the Dock , Queen recorded the video for I Want to Break Free here , other videos made here included ones by Diana Ross, Marc Almond, London Philharmonic Orchestra and the Communards. Not everything recorded at Limehouse was a success or even saw the light of day. Harry’s Christmas written and performed by Stephen Berkoff (now a local Limehouse resident) was considered too depressing to show at Christmas and was never broadcasted. However with the studio going from strength to strength the future success seemed assured except the London Docklands Development Corporation who had welcomed the project with open arms now had a company that which wanted to develop the whole Canary Wharf site. After much discussion Limehouse Studios which was now owned by Trillion sold the site at a large profit and in 1989 the studios was demolished. Many who worked in Limehouse studios at that time have fond memories and pride for the quality of work produced in that period. Local councillor Gloria Thienel remembers that she had heard from a neighbour that the studios were looking for a receptionist. Gloria applied and was pleasantly surprised when she got the job and so began her connection with the studios. Gloria remembers the camaraderie amongst the staff “ It was very much a feeling that we were all part of a family” . These views are echoed by many other staff who worked there who enjoyed the idea of working in a small team rather than the larger organisations such as the BBC and ITV. However it was not all plain sailing as Gloria explains “Most of the performers were great and easy to work with but there was one or two “divas”. It was also hard work with most staff working long hours to complete tight schedules. Although the studios life was short , lifelong friendships were made and reunions of the Limehouse staff are still well attended. Other than Gloria there is still connections to the modern docklands,the famous hospitality boat The Sloop John D that was moored outside the studios was run by caterer Lorna who now runs the Leven restaurant boat in West India Quay. 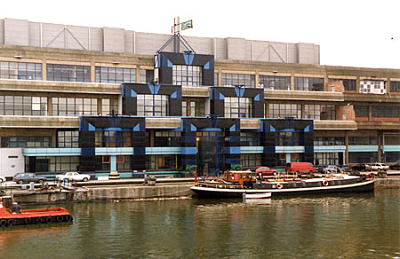 It is sometimes typical of the Isle of Dogs that some enterprises rise and fall quickly (the London Arena being another example ), however for a very short time in the 1980s, Limehouse Studios in a renovated old warehouse in the middle of a run down docks area was creating its little piece of television history. By isleofdogslife in Art Life, Cultural Life on March 25, 2013 . Glad you enjoyed it, thanks for the help. I wondered if you would remember Albert Tolley, who worked at Limehouse. Albert was my father. Hello Jane, I worked at the studios just before demolition and moved to the new set up in Wembley. I seem to remember Albert was in charge of the wembley studio building. I also seem to remember him showing me a photo of himself operating a turret studio camera back in the 50s or 60s, Was he a camera man? That’s good to know. I wondered if you would have any pictures of him from those days as sadly Dad passed away on Boxing day last year. The Diana Ross video was Chain Reaction, some of which was filmed outside on the wharf. She was diminutive, always accompanied by two man mountains of body guards. I believe one was Mr T but that would need checking. Also in the firework sequence Miss R’s dress caught fire and she had to be extinguished! The premier of ‘Chess’, Tim Rice and the men from Abba, was also held at the studio. A very big affair with an abundance of fur coats that Jane and I had to deal with. One more thing the barge in your photo is the Leven. The Sloop was bigger and very white it had to be reinforced to cope with the barrels of Guinness. I used to work the bar for Lorna on occasions… Very happy times. Thanks for the comments and memories, it sounds like an amazing place to work and I am sure it was good fun. My Dad worked here as a carpenter, has so many good memories. I remember watching the recording of ‘Celebration’ that features Emma Thompson. Was a fab studio, sadly knocked down for the development. A lot of people have mentioned it was a great place to work, many have fond memories of some of the programmes made there.